Make better decisions, improve sales and recruitment consultant productivity, and manage the entire recruitment and applicant management process from a single, easy-to-use interface. Delivered via a SaaS (Software-as-a-Service) model, the Bullhorn applicant tracking system is 40% faster than comparable systems and can help recruiters generate up to 43% more placements. 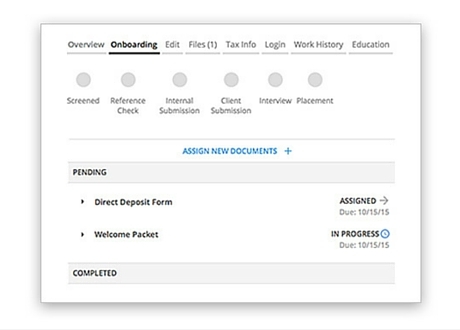 Create as many forms as your clients demand, automatically populate job and candidate data fields, and provide an excellent candidate experience with a secure portal to complete and sign documents, all directly within the Bullhorn applicant tracking system. No more copy and paste. Bullhorn VMS Access loads new jobs directly into your applicant tracking system in just minutes from practically any vendor management system. Fill jobs before the competition even sees the job order. With Bullhorn Recruitment CRM, your entire organisation can accurately forecast pipeline and revenue growth. You can also increase adoption of your front office systems and gain visibility into your clients’ changing business needs. Your interactions with candidates don’t take place in a single location, and you shouldn’t be confined to work in one. 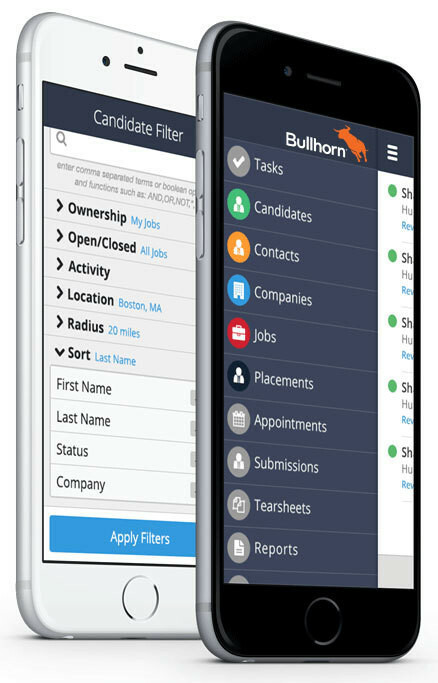 Bullhorn mobile recruitment software lets you view and edit candidate records, create notes, and access placement data on any device at any time. Recruitment consultants can’t afford to miss conversations with candidates, and with Bullhorn’s passive activity tracking, they never will. 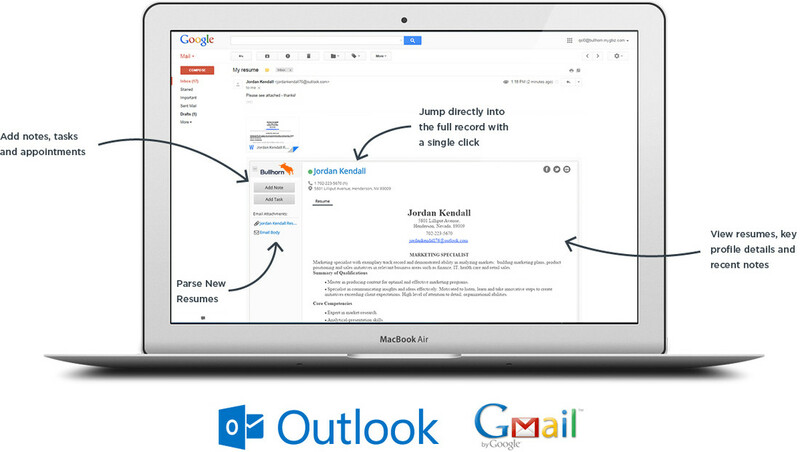 Bullhorn for Email integrates the Bullhorn applicant tracking system seamlessly with Gmail and Outlook so that you can view your email inbox directly within Bullhorn. 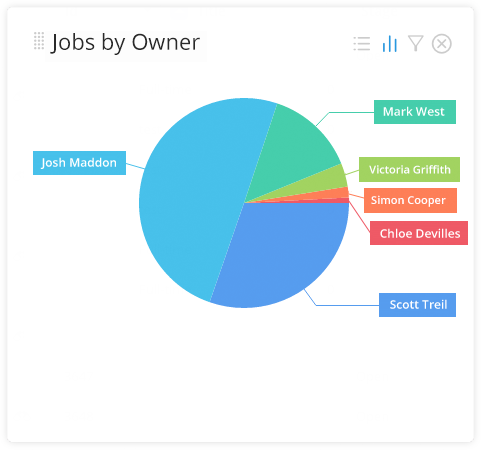 Easily parse in resumes, add notes, and create new tasks and appointments from candidate emails. See the latest info about your candidates while in your inbox, and access a sender’s full contact record from an email by jumping to Bullhorn with a single click. You can also create configurable reports tailored to your specific goals and KPIs. Bullhorn has provided the industry’s first staffing-specific applicant tracking system integration with LinkedIn Recruiter. 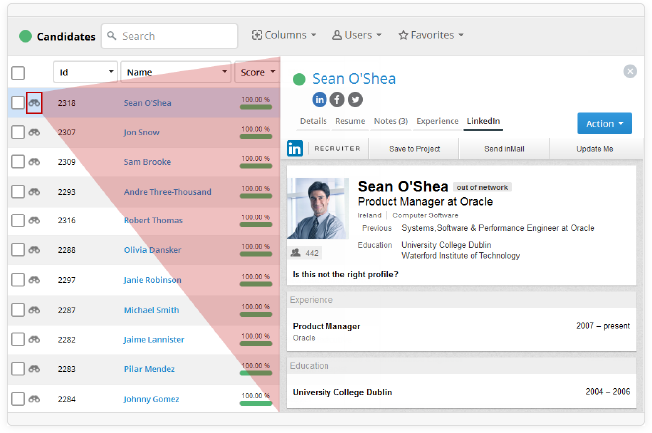 This integration streamlines a recruitment consultant’s workflow, reduces clicks, and provides a continuously up-to-date view of candidate information. Make better decisions, improve sales and consultant productivity, and manage the entire recruitment and applicant management process from a single, easy-to-use interface. 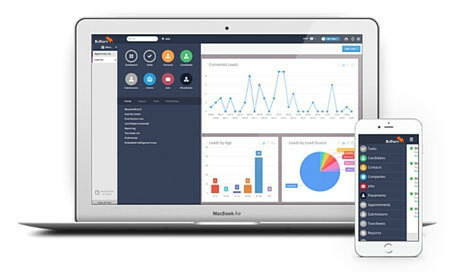 The Bullhorn applicant tracking system is built to scale without limitation and to address the needs of businesses of all sizes. We have designed editions to fit the requirements of recruitment agencies at all stages of growth. Using Bullhorn is a no-brainer for a recruitment agency. Powerful, intuitive searching coupled with state of the art client/candidate management make it the best tool in the industry! This integration allows you to easily publish jobs to SEEK’s website, allowing candidates to quickly find and apply to your open positions. Post, update, and expire SEEK job ads directly from Bullhorn, and have web applications parsed into the ATS automatically. The Bullhorn Marketplace – the largest in the industry – is a one-stop destination for business applications that integrate seamlessly with Bullhorn and help you manage all elements of your recruitment lifecycle. Each partner has developed a turnkey solution to fulfill a critical business need, such as creating targeted email campaigns, posting to job boards, or executing background checks. 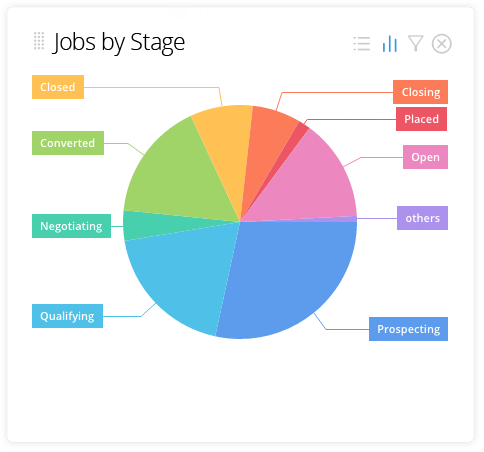 Integrate sales and recruiting activity to help close jobs faster. Efficiently manage candidate information and monitor recruiter activity. Bullhorn provides the most comprehensive applicant tracking system for managing recruiters' workflow, allowing recruiting teams to be extremely agile and move fluidly through each step of the recruitment process.